Home / News / Then Pawan Kalyan, Now Kalyan Ram for Puri! Then Pawan Kalyan, Now Kalyan Ram for Puri! 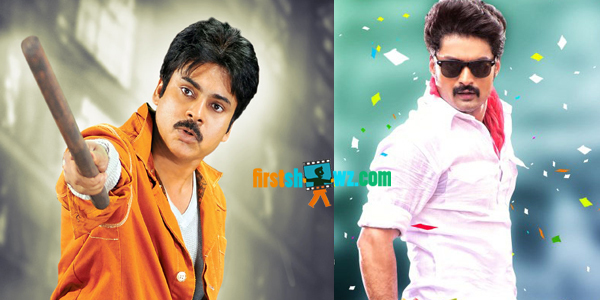 It is known that Puri Jagannadh has made Pawan Kalyan a Journalist in his directorial 'Cameraman Gangaho Rambabu'. Now, he is repeating the similar stint with Actor Kalyan Ram. Apparently, Kalyan Ram will be playing the role of Journalist in his next film tentatively titled Remix to be directed by Puri Jagannadh. This first combo of Puri Jagannadh and Kalyan Ram stars Surabhi of 'Express Raja' fame as the leading lady. Impressed with the script, Kalyan Ram himself decided to produce the movie under NTR Arts banner. The shooting schedules of Remix will commence from April, and the script work is under progress.